Pregnancy and motherhood bring many wonderful things into a woman’s life, but unfortunately, they also often bring some unwanted side effects to her breasts and lower body. 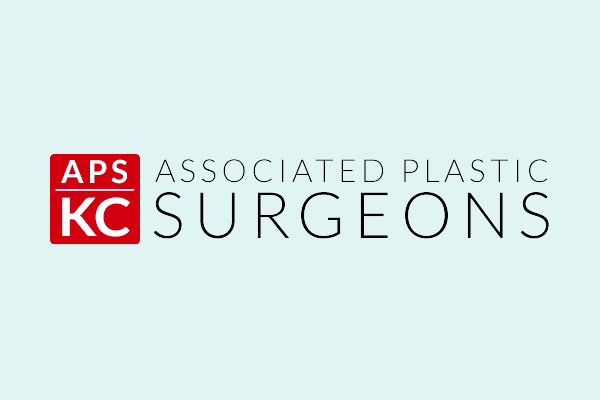 At Associated Plastic Surgeons, we can perform a special combination procedure called a mommy makeover to help Kansas City-area women restore their pre-pregnancy body contours. Our surgeons can merge multiple procedures into a single operation, saving a woman the added stress of having multiple surgeries. If you’re curious about enhancing your body with a mommy makeover, request a consultation online, or give us a call at (913) 451-3722 to schedule your appointment. We offer complimentary consultations for all cosmetic procedures. The first step in the mommy makeover process is a consultation with one of our plastic surgeons. He or she will ask you numerous questions about your goals and which areas you would like to address, as well as details about your medical history, allergies, and so on. The surgeon will evaluate your skin and other tissues during a physical exam. Tummy tuck surgery addresses the stretched abdominal skin and underlying muscles that are often separated during pregnancy. Our surgeons remove excess skin, often correcting stretch marks or caesarean section scars. Liposuction removes pockets of stubborn fat from many areas of the body, including the abdomen, thighs, flanks, and even the neck and limbs. Breast lift surgery repositions and reshapes sagging breasts for a more youthful, perkier look. Breast augmentation surgery uses breast implants to restore shape and volume after pregnancy. Other options for a mommy makeover could include body contouring procedures, facial surgery, or even non-surgical skincare treatments. We can tailor this custom procedure to your precise cosmetic needs. Your mommy makeover will be performed while you are under general anesthesia at a licensed surgical center in the Kansas City metropolitan area. How do I know whether I’m a good candidate for a mommy makeover? Any mother who desires to improve her figure and her confidence can be an appropriate candidate. We recommend our patients be non-smokers in generally good health. We also urge patients to wait at least 6 to 9 months after having children to have surgery. It’s important that your body has returned to a stable state and that your weight won’t continue to fluctuate, which could compromise your results. You should also be done breastfeeding before you have a mommy makeover. On the other end of the spectrum, you can wait years to have this procedure. Many of our patients have teenage or grown children, and they decide to finally treat themselves to something they’ve wanted for a long time. What is the mommy makeover recovery process like? This depends on the surgical options you choose, but a mommy makeover procedure is generally longer than individual surgeries, so the recovery may be a bit longer, too. Most women take 1 to 3 weeks off, especially if they have had a tummy tuck. Our team will provide you with specific instructions for your postoperative care, including information on follow-up appointments, medications, and incision care. What are the long-term effects of a mommy makeover? Your results will improve over a few months as swelling fades. Incision lines will become less obvious over time. If you have breast augmentation with implants as part of your mommy makeover, regular exams for breast health will be needed. The results of your procedure should be long-lasting provided your weight doesn’t change drastically, which would affect the body contouring aspects of your outcome.